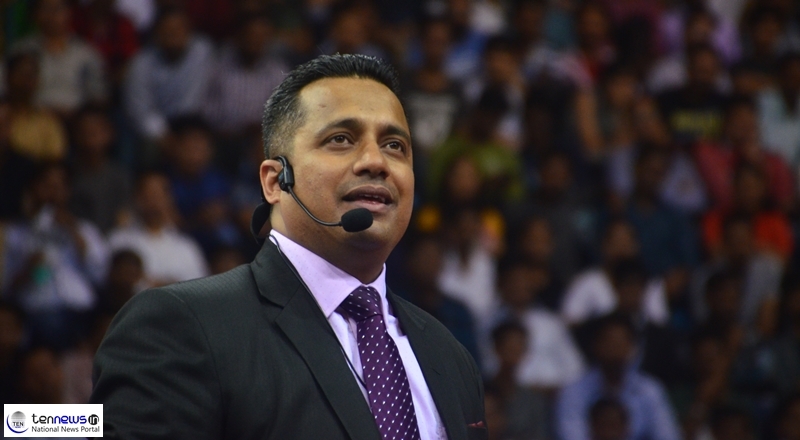 Student Leadership Conclave: Motivational Speaker Dr. Vivek Bindra Enthralls 20,000 Students! New Delhi: Feeling moody, sad, uneasy or grouchy? Who doesn’t once in a while? Student and College life is an exciting time, but it can also be very challenging. As a college student, you might be leaving home for the first time, learning to live independently, taking tough classes, meeting new people, and getting a lot less sleep. Small or large setbacks can seem like the end of the world, but these feelings usually pass with a little time. Dr. Vivek Bindra who is a thought leader, a motivational speaker, leadership trainer and a business Coach, Organized Student Leadership Conclave on Sunday which was completely free for the students. The conclave was organised at Indira Gandhi indoor Stadium, New Delhi. The power packed Motivational Seminar was attended by more than 20,000 students, who were motivated by Dr. Vivek Bindra to build a successful career. Dr. Vivek Bindra also specializes in spiriting and empowering people to realize their true potential. As a keynote speaker, millions of people have benefitted from his energetic workshops worldwide. He is a trusted advisor for over 1500+ corporates and a pathfinder to various entrepreneurs and other top notch business entities. He has also been an Inspirational Pathfinder to various high-profile entrepreneurs and other top notch business entities providing Leadership excellence for taking their organizations to the next level. Congress releases list of candidates for Karnataka elections, Chief Minister Siddaramaiah to contest from Chamundeshwari.